Passionate about civil rights, Sue has campaigned on diverse issues related to disability, and undertaken a number of roles to promote the access, inclusion and independent living rights of all disabled people. Based in Greenwich, she has served as a Trustee, trainer, and volunteer counsellor for the Greenwich Association of Disabled People Centre for Independent Living (GAD-CIL) since 1990, and was previously Vice-Chair and Secretary of the organisation. Although she has lived in Greenwich for most of her life, Sue was sent to study for her O-levels and A-levels in Coventry, as this was not possible within the special school system in Greenwich, and later went on to complete a degree in Sociology at the University of Nottingham. 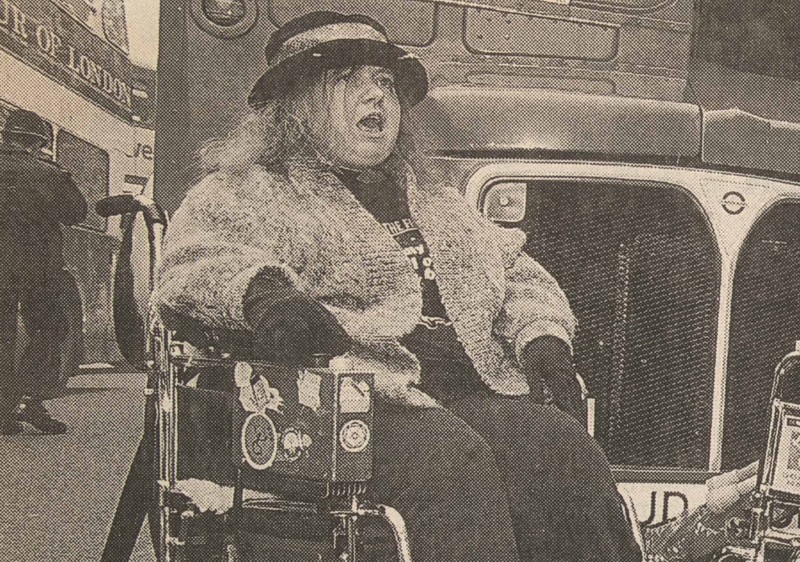 Since its formation in 1992, she has been a member of DAN (Disabled People’s Direct Action Network), which was responsible for organising some of the most prominent protests by disabled campaigners of the 1990s. More recently, Sue has been an active member of DPAC (Disabled People Against the Cuts), which, since 2010, has lobbied parliament to protest about cuts, in particular the closure of the Independent Living Fund (ILF) in 2015. In addition to her work with GAD, Sue is a founding Forum Member of AATO2 (Access At The O2). Previously a member of the London Access Forum (LAF), Sue continues her work to improve the access and inclusion of disabled people as a representative of GAD on the Strategic Access Panel, which was formed by the Greater London Authority to replace LAF in 2014.